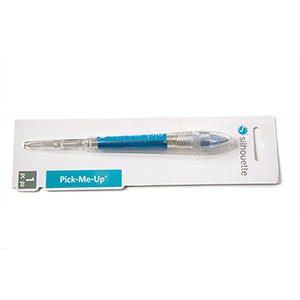 Used to pick up and place rhinestones, beads, paper pieces and other embellishments with the pick-me-up tacky placement tool. Use the pointed tip for poking out details from intricate paper cutouts. Then use the tacky end for picking up those rhinestones and other scrapbook embellishments. It even has a chiseled tip for easy placement of paper!